We have approached the leader of the famous Breitling Jet Team, Jaques Bothelin, many years ago. He was very interested in a cooperation, but at that time the sponsor Breitling only allowed for flights with VIP customers, and distribution partners of their watch brand. 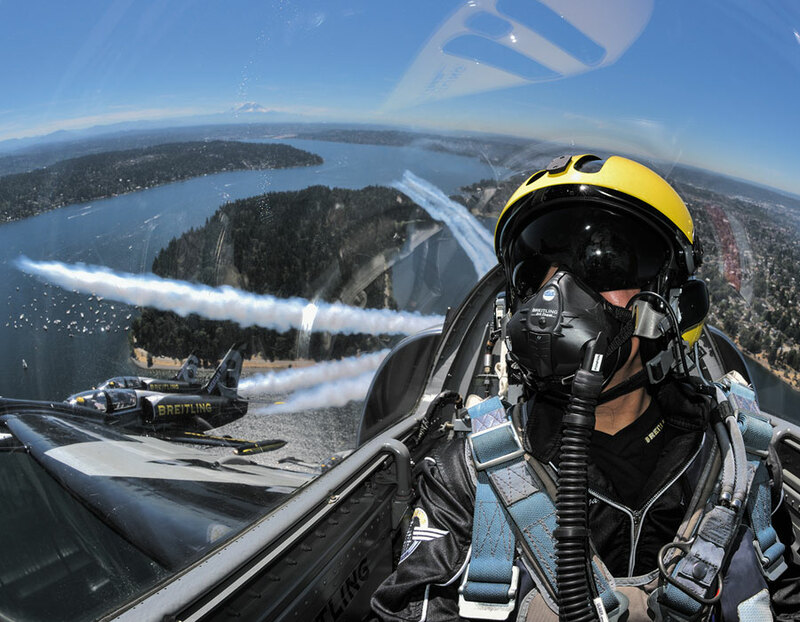 Luckily, the situation recently changed, and the Swiss watch brand changed contracts with the Breitling Jet Team so they could do flights with MiGFlug customers. So we revived the idea of doing a cooperation with the team, and customers simply love it. 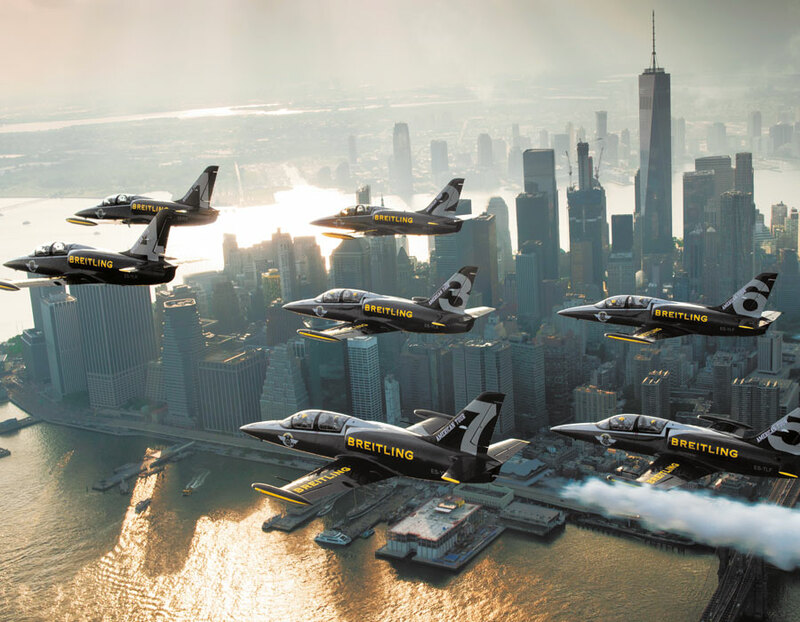 Generally, flights are possible for groups from 5, on a date chosen by the customer (needless to say it has to work with the Breitling Jet Team airshow calendar). The second possibility is for single customers, or groups smaller than 5: You can join one of several dates where we group customers together. Flights consist of two parts. First, the team flies in formation and does a part of their airshow program (with you on the back seat!). Second, the formation splits and you get to do some aerobatics. And in that second part, you will also get some stick time. The L-39 Albatros is a very attractive jet for flights with customers. It has an excellent view from the backseat. It looks pretty and it is very attractive to operate thanks to its robustness and low operation costs. These are just a few reasons that make the L-39 Albatros such a popular Jet Warbird. It played a role in James Bond movie „Tomorrow never Dies“. The L-39 was developed mainly as a military jet trainer, but was also used for other jobs, such as attack aircraft. Formation flying is something very intense. We recently flew with the Breitling team with a group where most of the participants did a MiG-29 Edge of Space/Stratosphere Flight before. 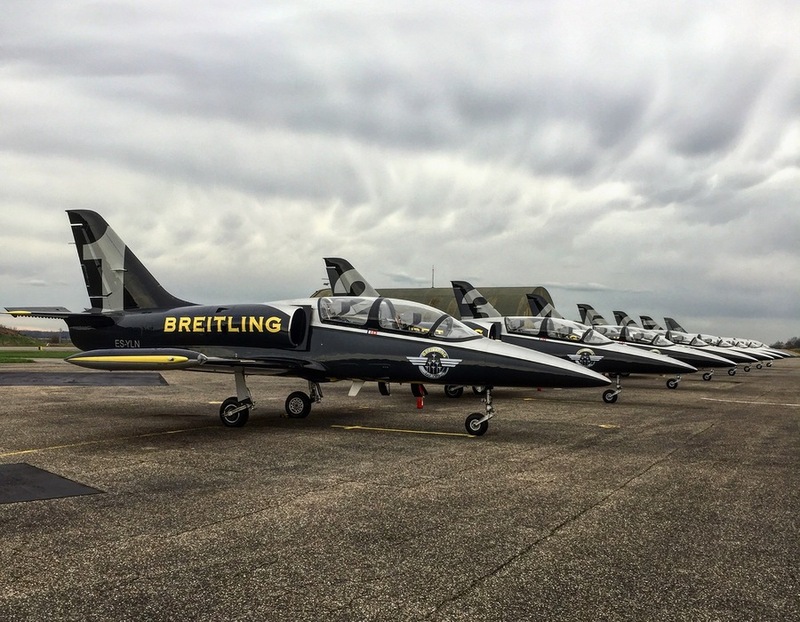 They agreed that formation flying in the L-39 with the Breitling Jet Team was at least as intense. 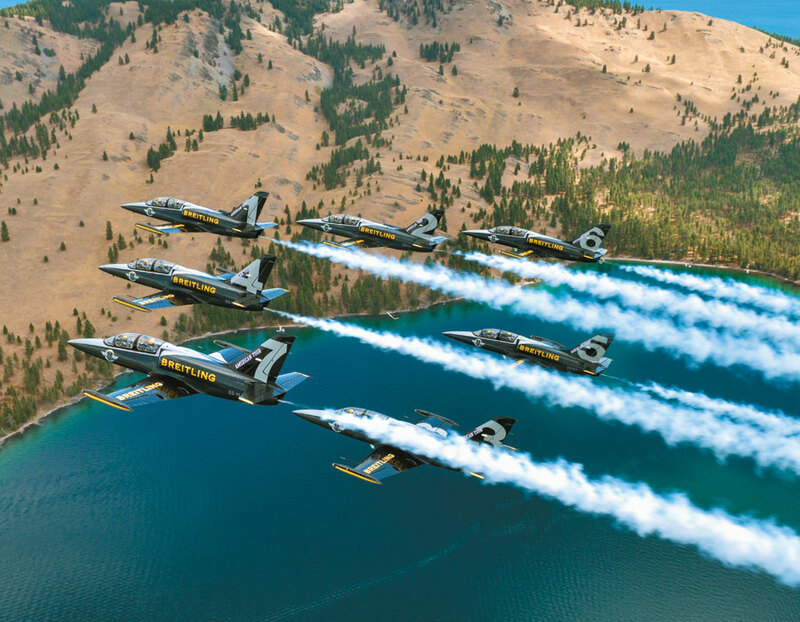 Imagine – these aircraft are as close as 4.5m from each other, doing aerobatic figures at a speed of several hundred km/h. It is insane. And pilots not only have to steer the aircraft but also constantly check for the speed. It is an art. And you as the customer will be surprised how close these aircraft actually are. It feels like you can almost talk to your buddy in the next plane! It is a fantastic group experience or team building event. You will all never forget it. From 5 participants, we can do a private event on a date according to your preferences. For smaller groups or individuals, we have a couple of events per year where we combine a group. Ready for your Riga Fighter Jet Adventure? Complete the booking form and you will hear from us shortly! The best gift for the best person in the world – a flight gift voucher for a flight in a real fighter jet!